Do you get red, scaly patches of skin that are itchy and painful? Do they come and go depending on how stressed you are? If this sounds familiar, you may have psoriasis. To know if you suffer from this condition, you really need to have a doctor diagnose it. To be honest, the cause of psoriasis is largely unknown, and no cure exists. Don't despair, though. You can help manage your psoriasis through some easy home remedies. Check out the 7 ways you can take control of this condition. 1. Petroleum jelly. An easy way to help reduce the itch of psoriasis is to slather on the moisturizer. A great one, especially for people with allergies, is petroleum jelly. A recommendation by WebMD is to cover those areas heavily moisturized at night so the substance can fully soak into the skin. You can wear socks or gloves for your hands or feet. 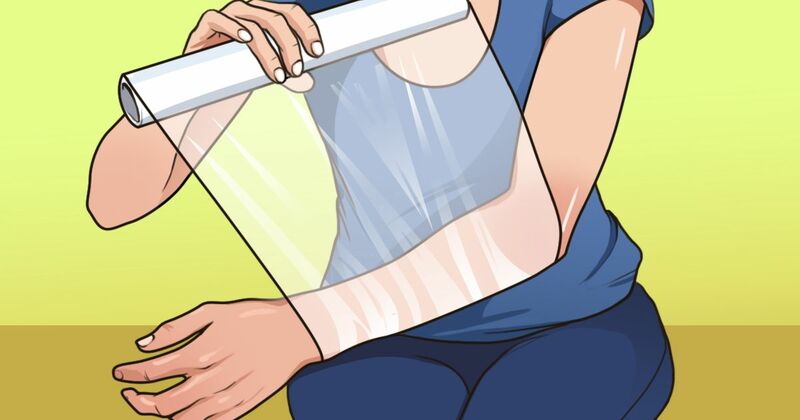 If your arms or legs are the issue, try wrapping some saran wrap around them. 2. Capsaicin cream. According to Medical News Today, capsaicin creams appear to give some relief to those who suffer from psoriasis. You can find this cream in health food stores or pharmacies. 3. Epsom salt. The National Psoriasis Foundation says that a 15 minute soak in an Epsom salt bath can help remove the scales from psoriasis and alleviate the itching. Once you get out of the tub, be sure to apply plenty of moisturizer. 4. Turmeric. Turmeric capsules are being recommended by the National Psoriasis Foundation. A study done in 2o12 shows "turmeric's ability to alter TNF cytokine expression." Scientists and doctors think that this might be what makes it effective in treating psoriasis. Ask your doctor for a recommended dosage. 5. Probiotic. Surprisingly, a specific probiotic, Bifidobacterium infantis 35624, appears to help the body control how it responds to psoriatic triggers, according to Medical News Today. Picking up some probiotics that contain this specific strain might be something to check into. 6. Sun. According to WebMD, the sun's ultraviolet rays can help the body fight psoriasis. Spending 10 to 15 minutes a day in the sun may be all it takes. 7. Stress reduction. Stress also appears to be a trigger. WebMD recommends finding ways to help you manage your stress. You can try Yoga, exercise, listening to relaxing music or some form of meditation. Find the form of stress relief that works for you. No longer do you have to be embarrassed. By moisturizing your skin and reducing your stress, you may be able to dramatically reduce the effects of psoriasis on your skin.